Looking for a line rental only telephone service. 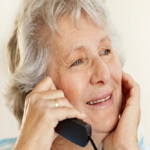 At Simple Telecoms we understand that there is a huge number of seniors and pensioners out there that don’t need all the bells and whistles and broadband services that other phone companies tie you in to. All you need is a good Old Fashioned BT line rental only telephone service exclusively for pensioners, with good customer care, easy to understand bills, easy to use, and to keep in touch at the lowest possible call cost. We offer a personal, efficient and friendly phone only service that's tailor made to your individual needs. We are happy to work closely with family members, Community Health Workers and Care Homes. Unlike BT, TalkTalk, Sky, Virgin, Plusnet we DO NOT charge any call connection or setup fees on ANY of our chargeable calls, with the exception of our Super Saver line rental service, and calls that attract connection charges (eg Directory Enquiries, 084,087 no's) saving you a massive 100% on every changeable call that you make. This can make a substantial impact to a phone bill when you consider BT Retail, and Plusnet charge a 22 pence* call connection fee. To safeguard all our customers, call barring for International and Premium rate numbers starting 09 will be applied automatically to the telephone line. If you wish to opt out of these please contact customer service, and we will happy to remove these for you. Barring calls to mobile phones is an opt in service. Please contact customers service to opt in the mobile barring service free of charge. At NO extra charge we offer call spend Alarms for your complete peace of mind. If your telephone number reaches a monthly spend alarm (set by you) we will let you know. Other alarms can also be set based on dialled number, price and duration. If you would like more information on setting these alarms, please contract customer services. No long-term contract and no termination fees. All line transfers, including new lines are just 30-day rolling contract terms. All billing is done via Direct Debt and there are NO line disconnection changes when you cancel or move your line, guaranteed. We also bill one month in advance on all line rental. Call charges are billed one month behind. When comparing prices, you may be told by other providers that there is no cost to transfer to their telephone service/s. However, BT do make a charge to all providers for the work to transfer or install a line, which is why we make charge. The cost for installing the line charged by BT is the same for all providers. So, it's likely that, if they do offer to do this for free, they will include it as a hidden cost, and higher line rental, call charges, call connection charges, as well as tie you into a long contract so that they can recoup it. Nothing is free, it's always included! We supply the lowest cost new telephone lines and call solutions across the whole of the UK. All the telephone lines we provide are supplied and supported by our partners Openreach, which are part of the BT Group, and are heavily regulated to ensure that no one provider has an advantage over the other. As such we buy our lines and support from Openreach on the same basis as everyone else. We do all the work, from booking the line installation, and in some cases the BT Openreach engineer will not even have to visit your home. 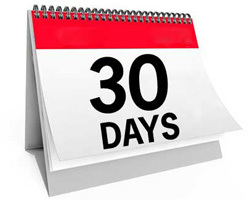 It takes around 10 working days to have your new landline telephone connection installed, depending on how busy the BT engineers are at the time of placing the order. Moving your BT Openreach telephone line may seem stressful and hard work. So allow us to help remove some of the stress by doing all we can to make sure your BT services are up and running when you move the line to Simple Telecoms. If you're moving home within your own telephone exchange area you may be able to take your current phone number with you. This is classed as a new line installation. We'll let you know if you can keep your number and if so, we will organise your telephone move for you. If there is a stopped line at the new address or room it may be cheaper to restart this line with a new number. We will advise you if this can be done at the time. A stopped line is an existing phone socket that is present in a prmises that is not able to make or receive calls, but has a line still connected to the telephone socket. Before you agree to restart a stopped line, we strongly recommend you complete a physical test of the socket, and run the test below. If you have a telephone socket but no dial tone please contact us, as not all stopped line will work using this test. We can then run an address check in the Openreach database to check. Time to switch a stopped line back in to service is normally between 24 hours and 3 working days. No engineer will need to come to the permises. a) Locate a the telephone socket in the house. b) Connect a standard PSTN telephone handset into it. c) Listen for a dial tone. If the line is dead then this isn't the stopped line. d) If dial tone is present dial 17070, which is a BT test number. e) Listen, and a voice will read to you the phone number associated to the line. f) This should read back a telephone number, however this may be a 'ghost' number. But as long as you have dial tone it should be fine to restart. TalkTalk, EE, Vodafone and Sky lines use LLU/MPF providers, who run their own network and deliver entirely their own services to end users (i.e. they are not simply reselling BT Wholesale service). We have only listed the main operators who fulfil this criteria as there are far too many to list. To transfer these types of lines will require us to send a BT engineer to the local exchange to move the line back to the main BT network, at a cost of £47.50. This covers Openreach cost, like wages, Van, Insurance ect. *After 60 minutes to UK Standard mobiles these calls will be charges at the standard rates for calls. Included UK mobile minutes are for mobile networks O2, Orange, T-Mobile, Vodafone, H3, (FM1, FM2, FM4 ,FM5 and FM6) at any time. Other mobile networks are charged at a different rates. Weekends are Saturday 00.00 to Sunday 23.59. Daytime Monday to Friday 7am to 7pm. Evenings & night time Monday to Friday before 7am & after 7pm. *After 90 minutes to UK Standard mobiles these calls will be charges at the standard rates for calls. Included UK mobile minutes are for mobile networks O2, Orange, T-Mobile, Vodafone, H3, (FM1, FM2, FM4 ,FM5 and FM6) at any time. Other mobile networks are charged at a different rates. Weekends are Saturday 00.00 to Sunday 23.59. Daytime Monday to Friday 7am to 7pm. Evenings & night time Monday to Friday before 7am & after 7pm. After 60 minutes to a UK landline number 01,02, and 03 at weekends and evenings will be charges at the standard rate for the remainder of the call. *Customers can obtain a Free CPR Sheld Call Blocker worth £39.98 + free shipping by choosing to pay 6 months in advance by credit or debit card when taking our Anytimecall plan option. ... Line Rental offer is non-refundable unless you change your mind about wanting it within 14 calendar days of paying. *After 400 minutes to UK Standard mobiles these calls will be charges at the standard rates for calls. Included UK mobile minutes are for mobile networks O2, Orange, T-Mobile, Vodafone, H3, (FM1, FM2, FM4 ,FM5 and FM6) at any time. Other mobile networks are charged at a different rates. Weekends are Saturday 00.00 to Sunday 23.59. Daytime Monday to Friday 7am to 7pm. Evenings & night time Monday to Friday before 7am & after 7pm. After 120 minutes to a UK landline number 01,02, and 03 the standard rate for the remainder of the call will apply. Level 2 - Included in all our line rentals and call plans. †Anytime Ultimate 24 countries: Australia, Belgum, Canada (landlines & mobiles), China, Denmark, France, Germany, Gibraltar, Greece, India, Republic of Ireland, Israel, Luxembourg, Italy (Inc. Vatican City), Netherlands, New Zealand, Norway, Poland, Portugal, Puerto Rico, Singapore, South Africa, Spain (& The Balearic Islands), Sweden, Taiwan, USA (landlines & mobiles). Calls made from Northern Ireland to the Republic of Ireland landlines are charged as a national call. *Customers can obtain a Free CPR V2000 Call Blocker worth £49.59 + free shipping by choosing to pay 6 months in advance by credit or debit card when taking our Anytime + call plan option. ... Line Rental offer is non-refundable unless you change your mind about wanting it within 14 calendar days of paying. *After 1200 minutes these calls will be charges at the standard rate for the number dialled. Included UK mobile minutes are for mobile networks O2, Orange, T-Mobile, Vodafone, H3, (FM1, FM2, FM4 ,FM5 and FM6) at any time. Other mobile networks are charged at a different rate. Weekends are Saturday 00.00 to Sunday 23.59. Daytime Monday to Friday 7am to 7pm. Evenings & night time Monday to Friday before 7am & after 7pm. After 120 minutes to a UK landline number 01,02, and 03 the standard rate for the remainder of the call will apply. 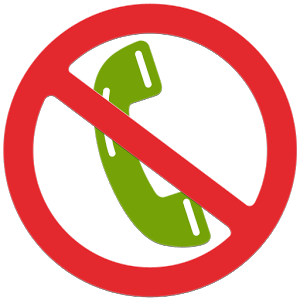 †Inclusive calls to our International Countries do not include calls to mobiles, unless other wise stated. All prices and payments quoted on this web page include VAT (based on the current standard Government rate) unless stated otherwise. Opt in required for Caller ID & Withhold Number service. * Included UK mobile minutes are for mobile networks O2, Orange, T-Mobile, Vodafone, H3,EE, (FM1, FM3, FM4 ,FM5 and FM6) at any time. UK Standard Mobile charges applies unless the call is included in a call plan or the number being dialled is one of the Premium Mobile Numbers starting with the following numbers below. Add £2.50 per month to our standard line rental or any call plan and you can save up to 66%** on calling UK Standard Mobiles. By adding our Mobile Saver add-on, you can reduce the call cost to UK standard mobiles to a flat rate cost of only 2p per minute including VAT, 24/7.